Her hit summer single "Last Friday Night (T.G.I.F.)" became the fifth chart-topper from her sophomore album, Teenage Dream. The hit single followed her other number ones: "California Gurls" (featuring Snoop Dogg), “Teenage Dream," "Firework,” and "E.T." (featuring Kanye West). Meanwhile, pop-soul singer Adele has also broken a noteworthy record. Her sophomore album, 21, has racked up more weeks at No. 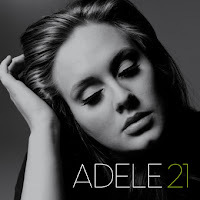 1 on the Billboard 200 albums chart than any other album in the past decade. According to an article on Billboard.com, 21 has spent the most weeks at No. 1 since Santana's Supernatural, which racked a dozen leading frames in late 1999 and early 2000. But it doesn’t stop at Billboard; Adele’s album is now Midwest Tape’s all-time bestselling CD as well with over 4000 units ordered. Both 21 and Teenage Dream continue to gain popularity. Adele is only on her first single, “Rolling in the Deep,” with 21, so there’s still plenty of time for her to break more Billboard (and Midwest Tape) records. And many are surmising that Katy Perry may very well shoot to surpass the King of Pop and make Billboard history by releasing a sixth single (most likely the track “Peacock”) from Teenage Dream. Do you think Perry will release a sixth single? Is her album worthy of the records it’s breaking? How strong will Adele’s 21 perform in the future? Will sequels following “Rolling in the Deep” perform as well?